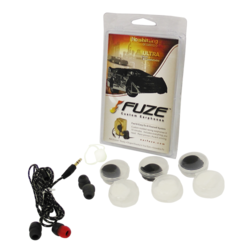 Fuze custom earphones deliver the fit, comfort and in-ear security that you've been looking for. The custom molded earpiece is soft, durable and ear-friendly. Your Fuze custom earphones will be permanently shaped exactly to your ears for a perfect fit.